I just stopped in my tracks when I saw this tub. It is just so pretty. The base almost makes this drop in tub look like it's a stand alone tub. My mind is racing with all the different design possibilities. 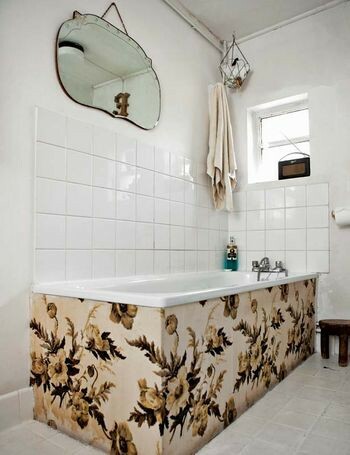 Choose any gorgeous fabric, wide enough wallpaper or faux leather and cover it in glass et voila you've got yourself the chicest drop in bathtub base on the block!